What materials can be Printed 3D? 3D printed portraits – The most realistic MiniMe’s Ever !!! A new store in Hamburg, Germany, allows customers to print an incredibly lifelike 3D-printed statuette of themselves. 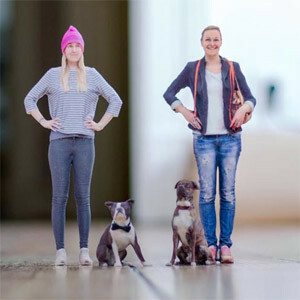 The idea of creating a miniature likeness of yourself using 3D printing is not new. From 3D chocolate face sculptures ans Stormtrooperswith your own face to the Japanese company Omote 3D , creating little statuettes from 3D scans. However, Hamburg based Twinkind, has established a temporary pop-up studio where people can get the most realistic images created that we have ever seen. You simply wander in, get yourself scanned and order statuettes of yourself in a variety of different sizes. The scanning technology they use is not explained, but apparently happens “in the blink of an eye” – making it possible to scan uncooperative children or even pets. It appears that the printing process they use m,ay be based around “sandstone” printing technology such as the ZCorp “sandstone” printer, which uses a fine powder as a printing medium. As the layers are laid down, inkjet technology sets them with a bonding agent, which can be mixed with colour for a full-colour printed object. These printers aren’t really for the consumer market, though; for the lowest-end model, you’re looking at around US$15,000.